Learn a contemporary twist on the traditional art of feltmaking! Embellish a silk scarf with soft wool fibers to create a beautiful accessory for spring, or just to add a little sparkle to your wardrobe. Choose your color palette of fibers, and then create any design from floral to geometric to abstract. Without knitting or sewing, you'll create a lovely scarf using a little soapy water and a unique felting technique. Some physical stamina needed for felting classes. light weight mohair/mohair silk blend yarns. 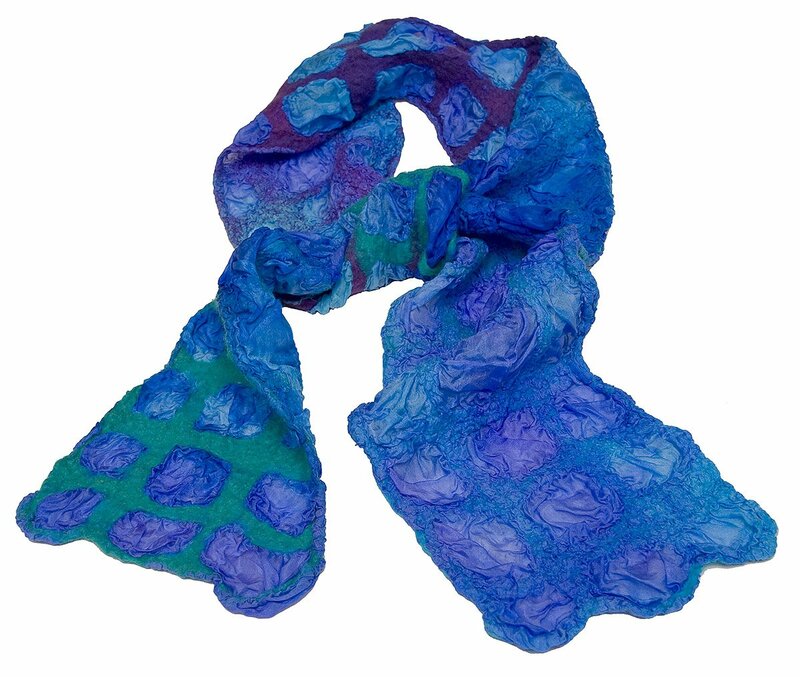 The class fee includes Leslie's felting kit and the silk scarf ($24 value).